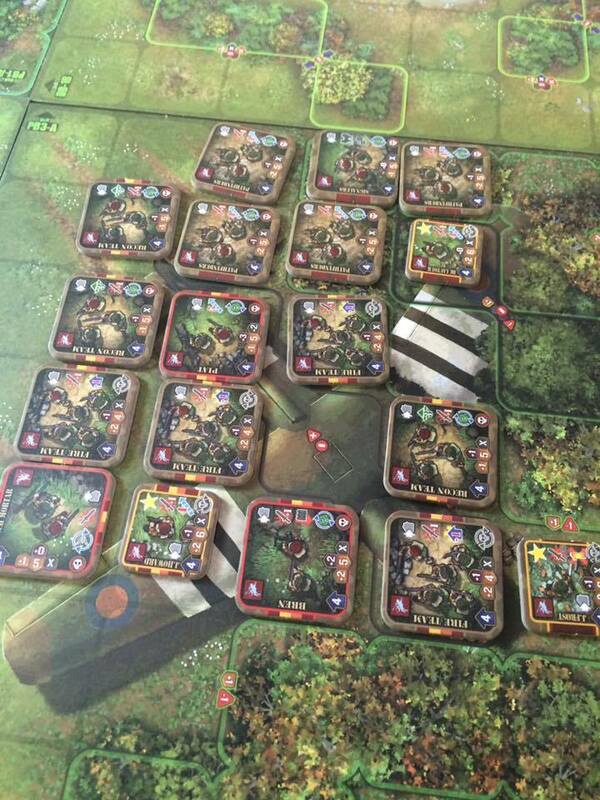 Devil Pig : Une partie d'Heroes of Normandie GIGANTESQUE! 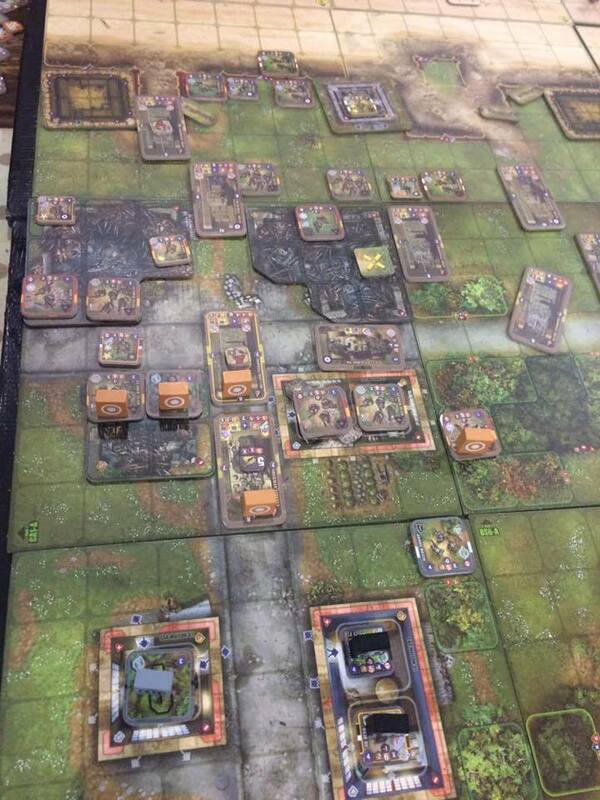 Une partie d’Heroes of Normandie GIGANTESQUE! 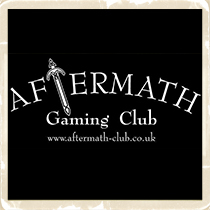 L’Aftermath Gaming club se situe à Norwich, Angleterre. Il s’agit du club de jeu Heroes of Normandie officiel de Grande-Bretagne. Et il le mérite bien ! Ils ont joué la plus grande partie d’Heroes of Normandie depuis le début, mais je vais les laisser en parler et nous les remercions de partager ce moment avec chacun d’entre nous ! 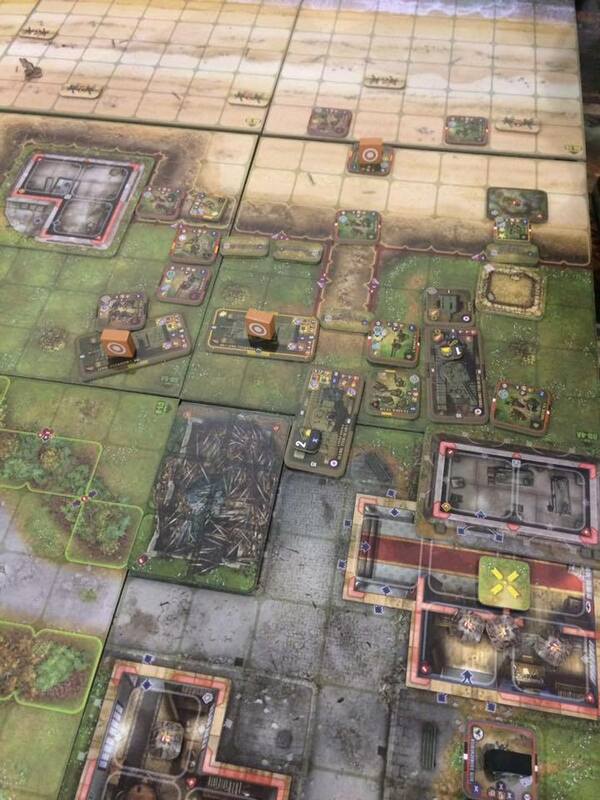 Dimanche 3 Juillet, une gigantesque partie d’Heroes of Normandie (Devil Pig Games) a été jouée à l’Aftermath Gaming sun. 40 plateaux ont été utilisés, 3000 points pour les Alliés et 1500 pour l’Axe. L’objectif britannique, sécuriser la tête de pont sur la plage et sécuriser les objectifs présents dans le village à proximité. Les paras britanniques eurent comme objectif de capturer et tenir le pont de Pegasus et de fait le village à proximité. L’objectif allemand, tenir les objectifs et repousser les anglais à la mer. La partie commença à 15h00 et finit à 21h00, ce fut la première partie de cette envergure jouée au club et ce ne sera pas la dernière, de nombreux joueurs étant fans de cette partie extraordinaire. Le jeu fut fluide, rythmé et nous étions scotchés dessus. Nous avons une league et des tournois planifiés, gardez un oeil sur la page FB du club. 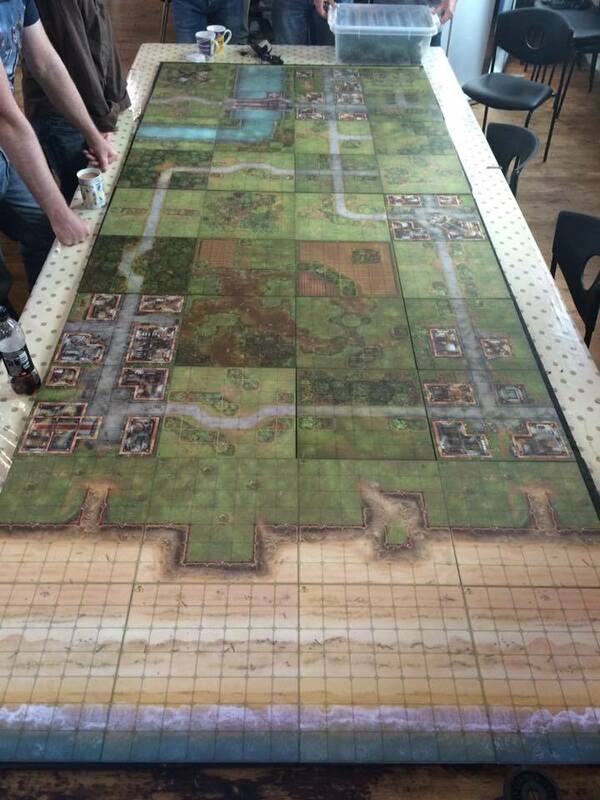 1) The table takes shape, 40 boards used , 3000 points Allies and 1500 for the axis. Here you can se the two towns near the beach head, these were objectives the allies had to take. the middle village on the right was another and finally Pegasus Bridge. 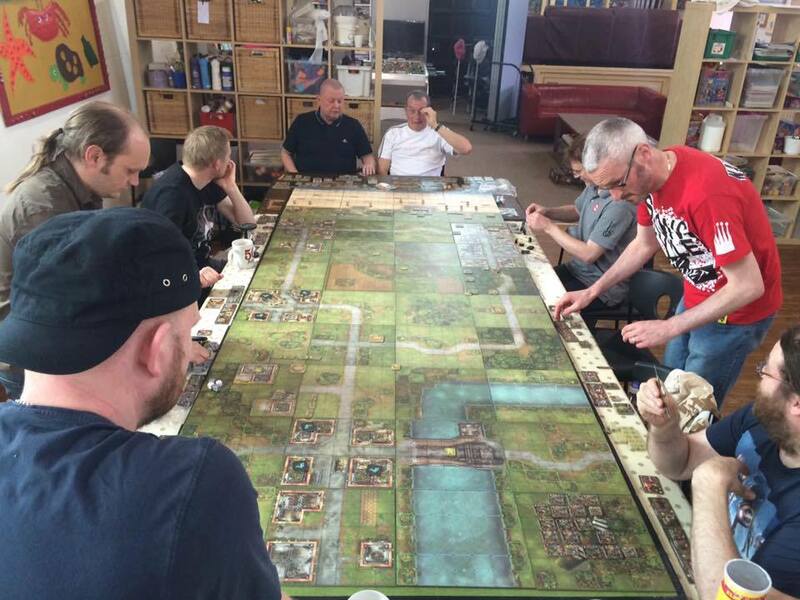 3) The 10 player game starts, the sides take position, let battle commence! 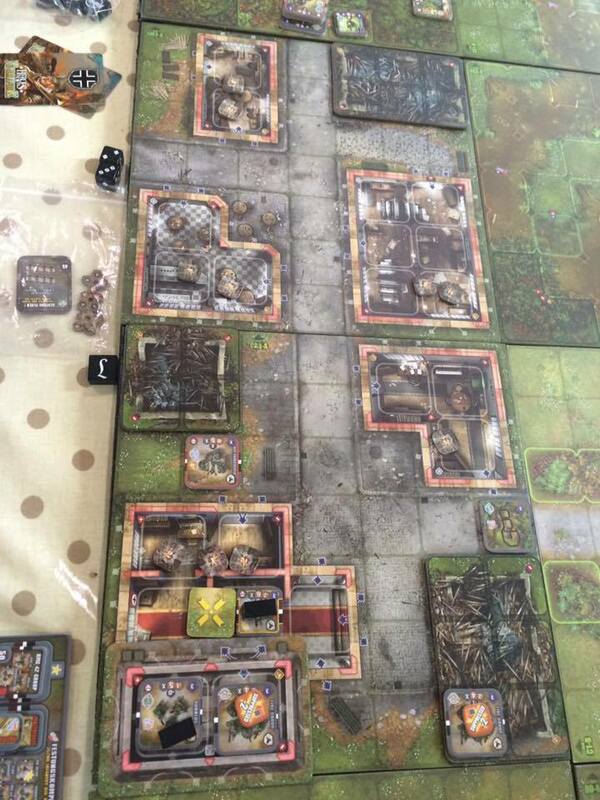 Each side had a command board which enabled us to purchase extra benefits for each side.Each player got to chose a hero character which represented themselves. 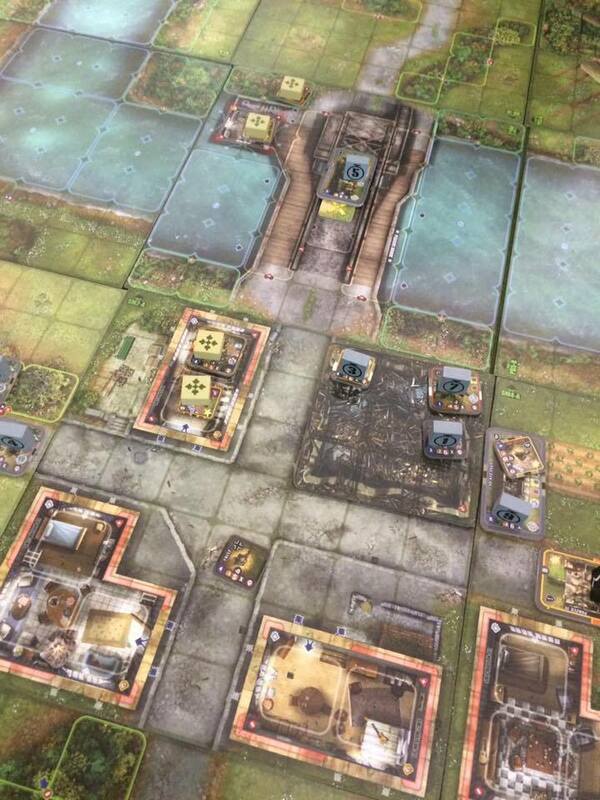 4) The British paras land and start their assault on Pegasus bridge. 5) A quiet little sleepy town in France with some of the buildings occupied by German Wehrmacht, little did they know they were soon to be woken by a navy bombardment. 6) The British landing troops already to hit the beach. 7) The Beach, all quiet, some german troops keeping an eye out but otherwise just having some local wine. The beach was lifted with barbed wire, mines and tank traps. 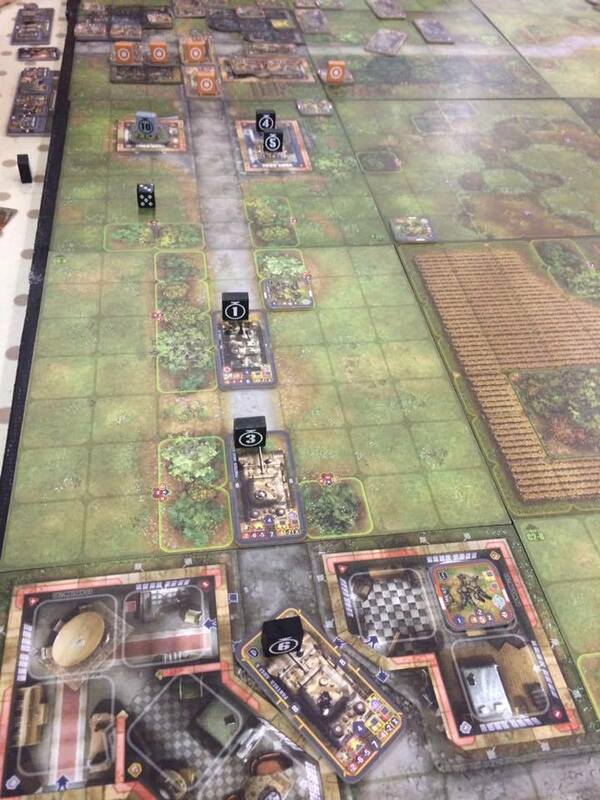 8) The Germans start off asleep apart from the sentry who (1&2) The Paras have their order tokens and move in on Pegasus bridge. 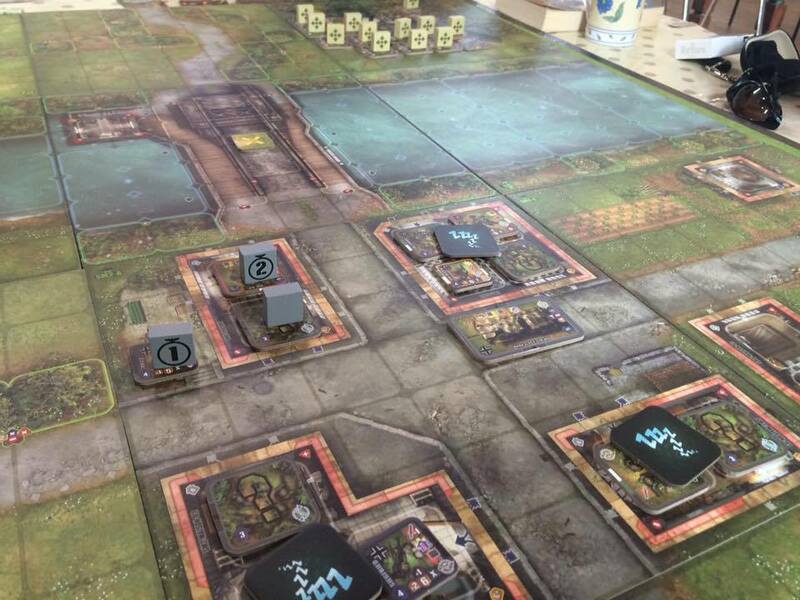 9) Two of the four objective can be displayed with the yellow cross. 10) The right beach objective. 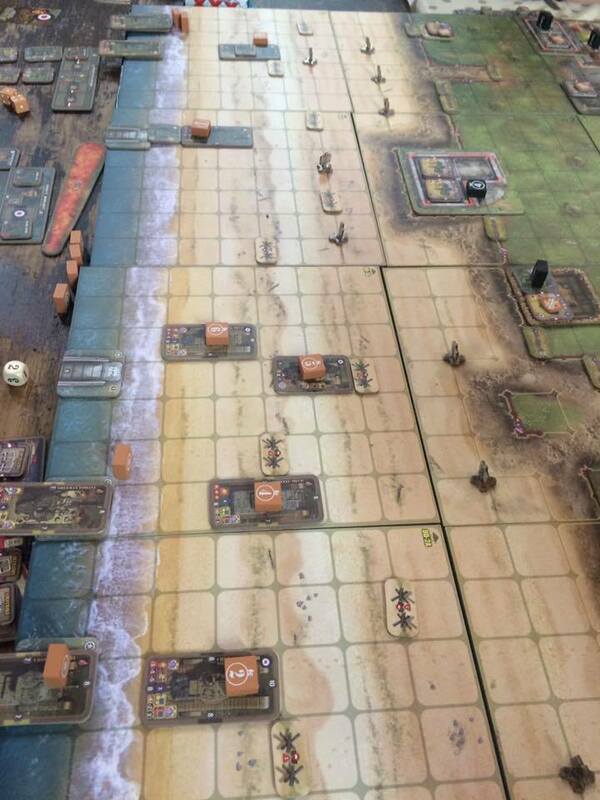 11) The left flank beach objective. This was just after the Navy bombardment, building have been destroyed and troops suppressed. 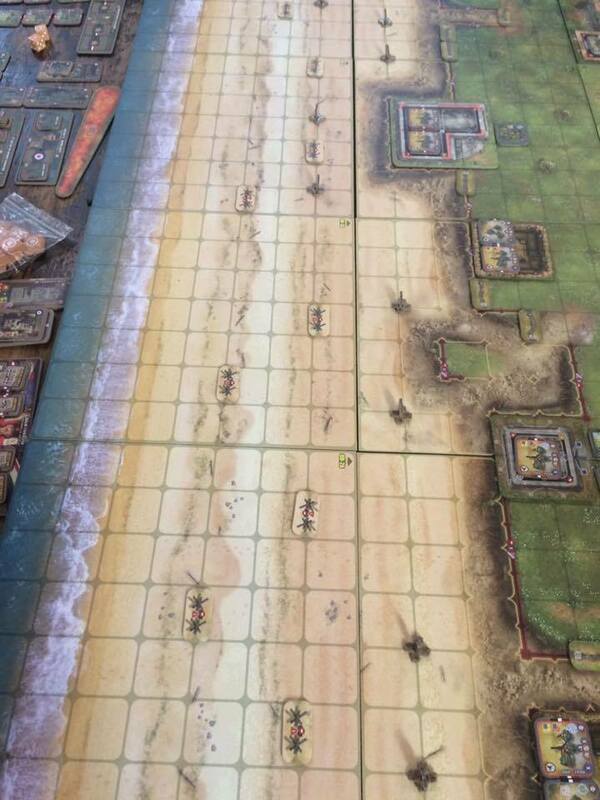 12) The British landing crafts approach the beach, the german defenders are given orders and prepare to defend. 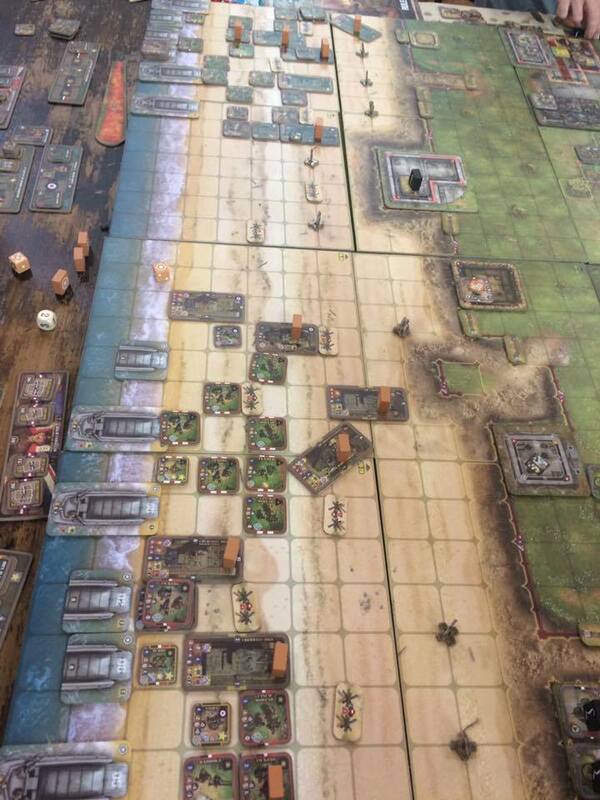 13) British troops storm on the beach, the Germans are feeling bit out numbered. 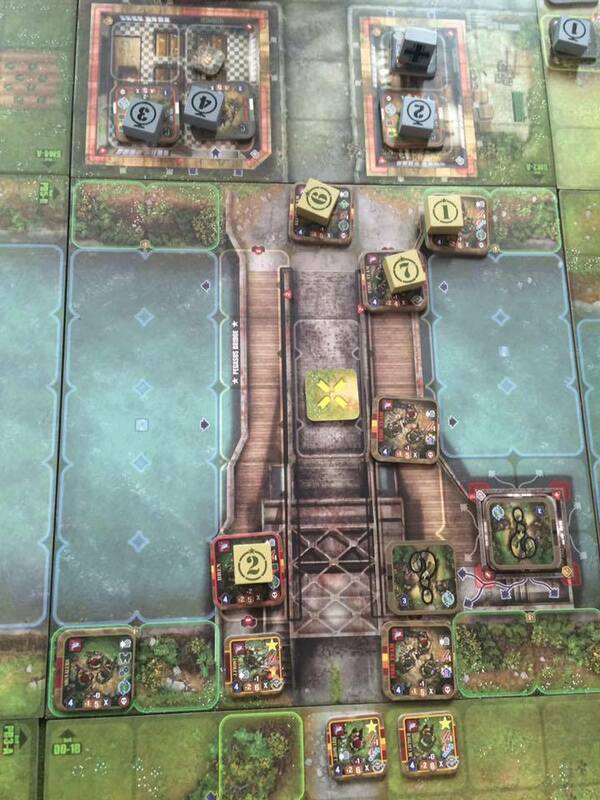 15) The battle of pegasus bridge was very vicious, the bridge changed hands a number of times. 16) The British infantry secure the beach head and capture the right Beach objective, just when all seemed lost for the Germans, Panzer support rolled in. 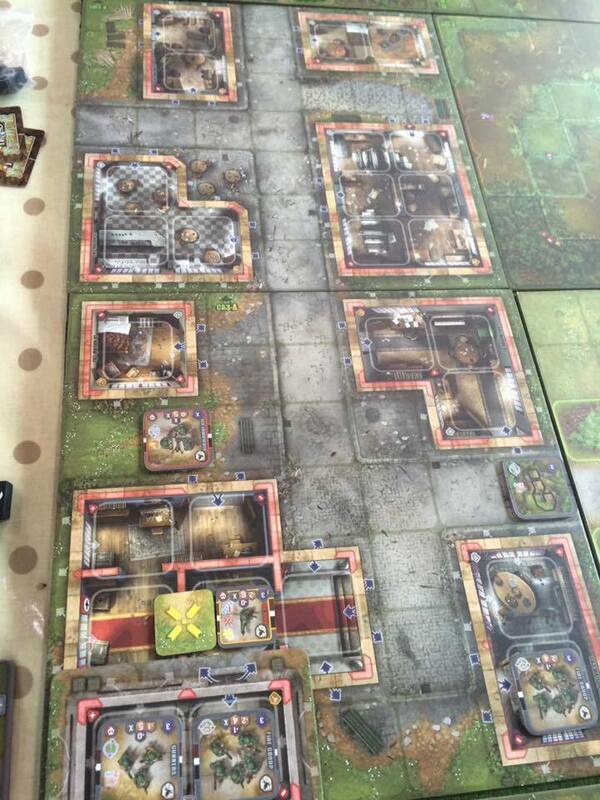 17) The buildings were damaged by the off the table navy bombardment at the start of the game, it caused havoc and suppressions. The Germans on the right flank put up a valiant fight with their hero Helmut but got pushed back by the outnumbering power of the British. 18) The British red devils stall, having taken so many losses and getting to the other side their attempt was squashed by the Wehrmacht defender. They failed to take the bridge and the near by town. 19) The German beach left flank also falls after heavy combat and defending and move in to capture the second objective. Can Otto drive in time to help??? I feat not, the objective was taken and the game closed as a draw. ← La version Beta du Compendium est là ! 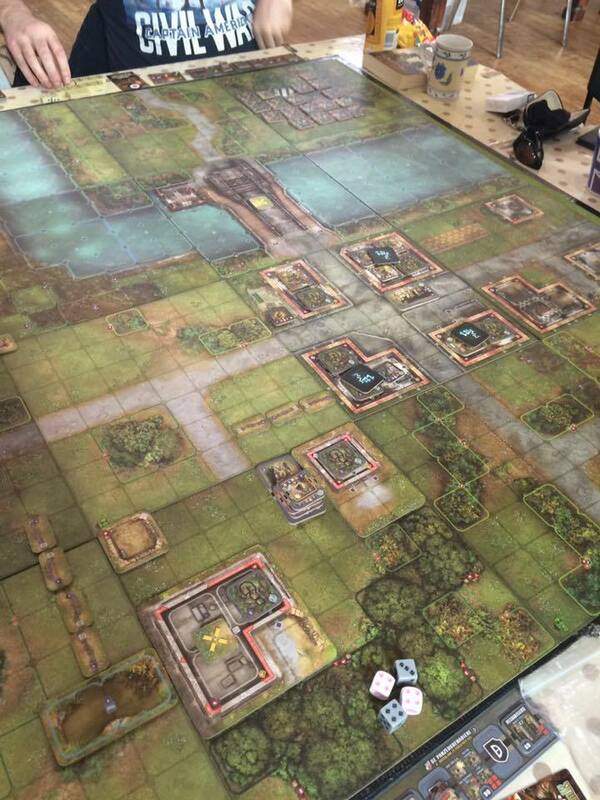 Yes, it was basically using a gigantic 4 player set up but instead on 1v1v1v1 it was 2v2v2v2 with a game marshall introducing events as the game went along, we did not know what the events were until they happened but the game marshall planned them in advance. 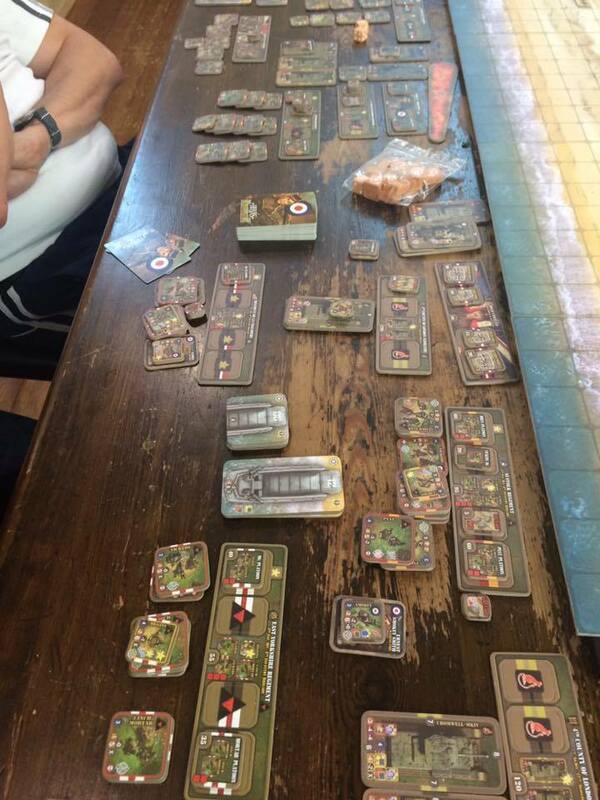 The Scenario was based on sword Beach, roger sector and Pegasus bridge. 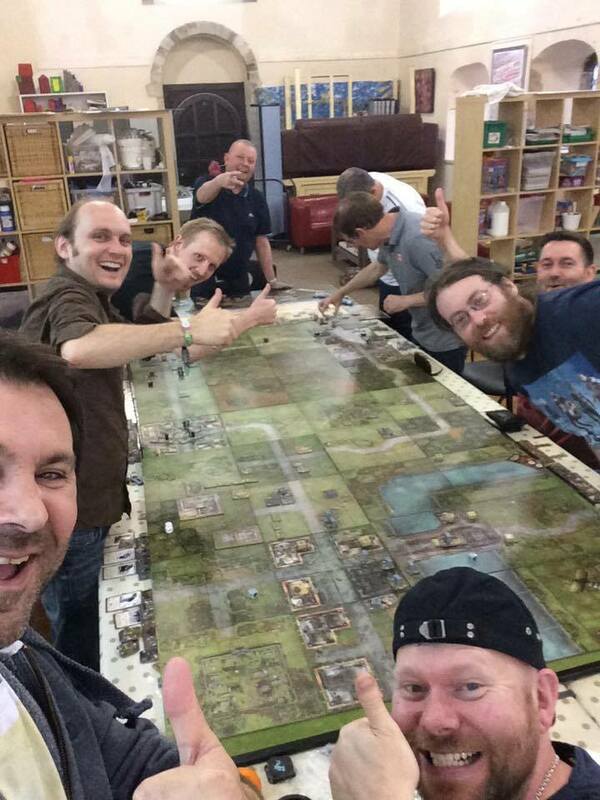 @ daledavis: it’s an home-made scenarios made by the Aftermath gaming club. 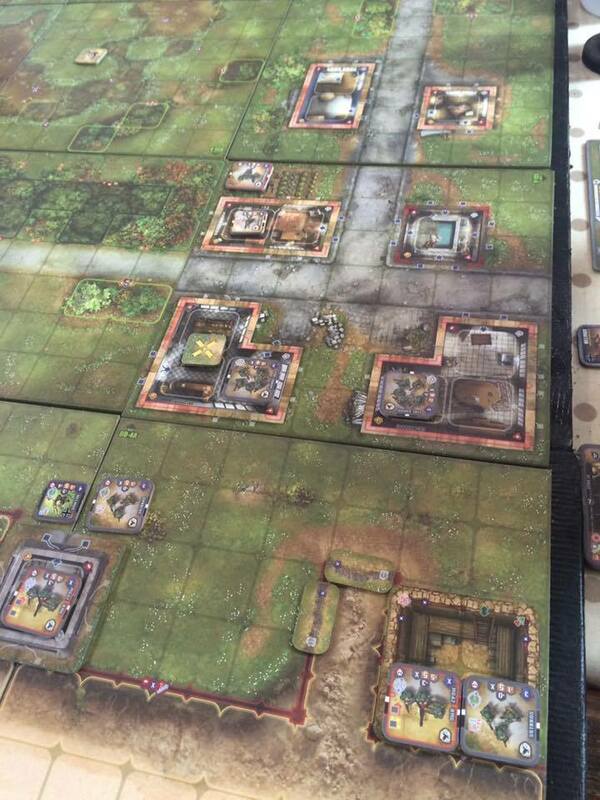 If you think to scenarios with more than 2 players, multiplayer rules are in the rulebook (last version). You can download it in our Download section, no need to synchronized. 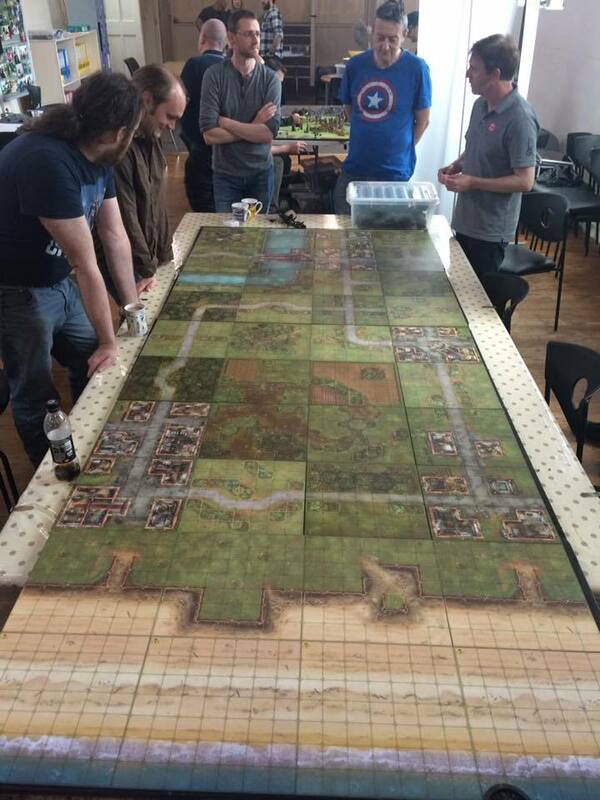 Could you post the rules you used to guide such a large scenario? I am particularly interested in how the number of order tiles and how many sets you used. Were the two battle areas synchronized? Wooo. Huge scenario. Very cool.